Samsung announced 19 newly supported credit card issuers for Samsung Pay this morning, allowing even more folks with a compatible device to conveniently pay with their smartphone at the grocery store, or any other supported retail location. Issuers now supported include KeyBank MasterCard credit and debit cards, TCF Bank, Central Florida Educators Federal Credit Union, Greater Kinston Federal Credit Union, Keypoint Credit Union, Numerica Credit Union, and Utah Community Credit Union. For a complete list of supported banks and issuers, see here. If your bank is one of the newly supported institutions, setting up your account is easy. Simply open up the Samsung Pay app, add your card, and then get to tapping at virtually any merchant location that features a credit card terminal. 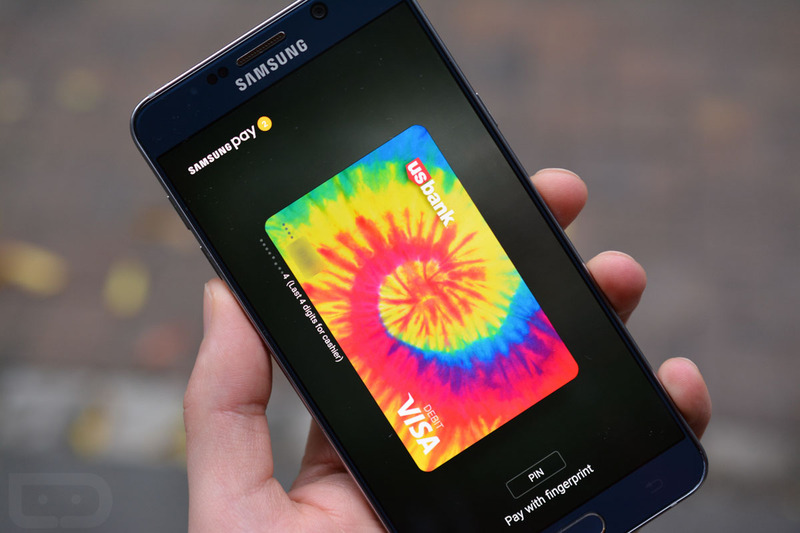 Have you been able to try Samsung Pay? How do you like it?